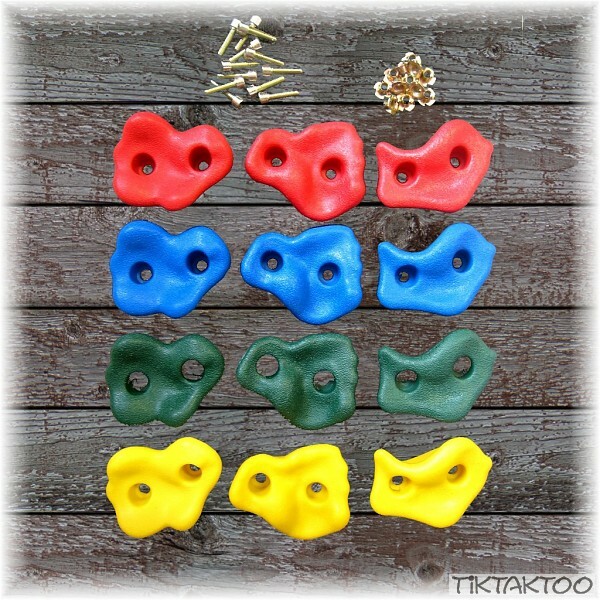 Set of 12 climbing stones in different shapes and colours (red, blue, green and yellow). 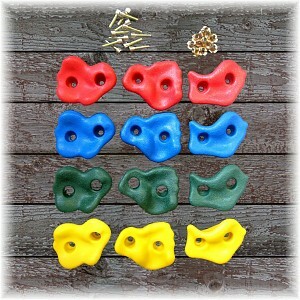 Made of high quality recyclate plastics. Comes with hexagon socket head cap screws and drive-in nuts.